Award-winning & eco-conscious Seasons Garden Design LLC believes in the value of engaging with Nature for inspiration and nurture, garden-to-table food, opportunities for play (and exercise) and investing in good environmental stewardship within the framework of superb design. What better way to implement these goals than to bring your dreams together with our expertise to create an exceptional garden tailored to YOU. We design projects of all shapes, sizes, and types, new gardens, old gardens, and everything in between, so no excuses...contact us! Restore your self, build a garden. ‘Personal’ paradise is more than just an expression to us. And ‘outdoor living’ more than a signature phrase. Our designs promote balance between nature and lifestyle - encouraging homeowners to ‘get outdoors’ in extended landscape living spaces. A bit of paradise a few steps from one's home interior. Private retreats may have many design elements: soothing fire and water features, impressive walkways and lounge patios, rustic yet sophisticated outdoor kitchens with custom amenities - all with incredible entertaining options for large gatherings while also allowing for quiet family enjoyment. Enjoy a walk down ‘Paradise lane’ as you view some examples of our award winning exterior designs. At Pistils Landscape Design + Build, we believe that the outdoor spaces we inhabit are central to our experiences and quality of life. Whether collaborating with a client directly, or partnering with an architect or designer, our greatest joy comes from realizing the inherent potential of a landscape. With an abiding passion for Pacific Northwest flora, climate and geography, our team knows a successful design begins with a deep understanding of how the built can harmoniously integrate with its natural surroundings. Respecting the “genius of place” -- working with, rather than against, the unique character of each site -- informs all aspects of our design and installation work. Our approach is highly collaborative. 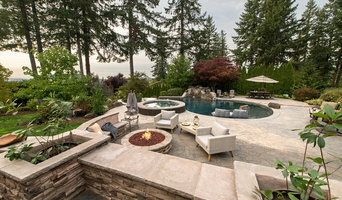 We actively engage with our clients, learning about their lifestyles and goals for their outdoor spaces, brainstorming together to ensure the end result is uniquely theirs. As a business, we’re committed to engaging with our clients in a way that is both ethical and honest, producing a result that is of the highest quality. As a design-build firm, Pistils includes both innovative designers as well expert installers. Our design team, led by a licensed landscape architect, achieves the needs of our clients in thoughtful, inventive ways. With an unmatched knowledge of natural materials and flora native to the region, our designers are well-suited to take on any project in the Pacific Northwest. With highly skilled masons, carpenters, metalsmiths and plant specialists on-board, our installation team is fully equipped to handle all elements of landscape construction. Our project managers overlap regularly with our designers, which assures that the nuances developed during the design are realized during installation. Founded in 2001 alongside our sister business, Pistils Nursery, our projects range from small urban residences to expansive rural landscapes, as well as select commercial sites. While design-build is our primary focus, we also welcome design-only and installation-only projects. Pistils Landscape Design is committed to ethical and non-discriminatory hiring, and we believe every member of our staff, from landscape architects to installers, deserves a living wage. 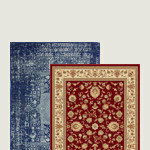 In all of our projects, we consider our environmental impact, striving to make decisions that put sustainability first. Since 1994, Blessing Landscapes has been providing landscape services to Portland Metro and Vancouver Metro areas. Since the beginning, striving to deliver the best quality and service with integrity has been their desire. In 2013, 2015 and 2016, Blessing Landscapes won the prestigious Angie's List Super Service Award which is just one recognition of their success. Two of their team members are Landscape Industry Certified, and as a company, their goal is to have the highest percentage of employees certified. But, all of this is secondary to Blessing Landscape's up-beat, positive, professional and respectful company culture which is seen and felt across the board. It's all just part of passionately creating beautiful landscapes! Get the quality customer service you need. Contact Blessing Landscapes today! Abbaté Designs creates beautiful outdoor spaces that express the uniqueness of you, your family, or your organization. Led by Mike Abbaté, we will help you create your own perfect outdoor environment, done with excellence, sustainability and style. The author of Gardening Eden (published by Random House), Mike Abbaté is driven by an ethos of our spiritual responsibility for ecological stewardship. No two of us are the same, so you may want a space for parties and games; a place of quiet contemplation, meditation or prayer; a pool or spa that also serves as a beautiful fountain; a garden pavilion that also provides storage; a beautiful terrace to gather around the fire pit; a restored natural area that supports native flora and fauna; or something else completely unique to you. Abbaté Designs makes it easy for clients by providing the full suite of services: planning, permitting, design, construction and maintenance. This provides "one-stop shopping" for clients - you do not need to hire an architect, construction contractor and maintenance company separately, and try to reconcile the three. 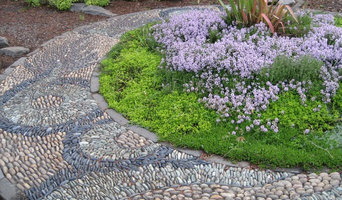 This seamless approach results in a more holistic approach that gives you what you want - a beautiful, hassle-free garden. Allow us to lead you through a creative process that results in your own little piece of paradise. Every landscape design is personal. We’ve found that by keeping an open mind, by listening to you — and to what your space is saying — we can bring you and your landscape into harmony. Before we design patios and decks, before we add outdoor kitchens and create curb appeal, let’s start with how you want to feel in the space around your home. We are here to help you feel joyful when you open your front door to greet guests, relax in the backyard or look out your windows. To do that, I approach each project listening to what you want and need while getting attuned to what your outdoor environment is telling you it wants. After all, it is a living, breathing space. It has something to say. Why not let it speak? To serve you best, we often collaborate with colleagues to ensure that you get the perfect mix of talent, experience and point of view. Forest Landscape Inc. is proud to present our custom landscapes for your home. We area landscaping company that emphasizes more than your typical, run-of-the-mill projects that take up space within the neighborhood. Our business focuses more on the design work, by providing artistic work and a complete landscape that matches your personal preferences precisely. All of these projects represent our commitment to bringing beauty and elegance to the world at large. Landscape Design/Build For Your Modern Family Ross NW Watergardens offers landscape design / build services in the Portland, OR area. We are a family business with three generations of landscape expertise. Landscaping is our craft, the only thing we have ever done. We have a team of employees, craftsmen, designers, and subcontractors who feel the same way! 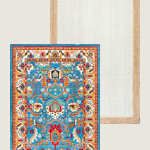 Looking for the kinds of designs we produce but live outside Portland? Our online design service is for people across the world who value simple and beautiful outdoor spaces. When you work with us you will meet Ross "Joe" Bowen who has owned and operated Ross NW Watergardens since 1999. Ben Bowen, the third generation of landscaper in the family, is our head landscape designer. 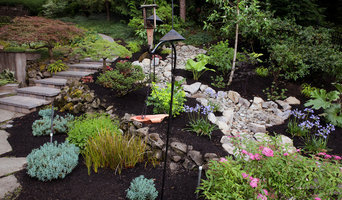 Ross NW Watergardens is proud to provide full service design/build landscape services to the Portland, Oregon area. This means we can consult on your landscape, design solutions that work for your family, and then create the landscape you want. 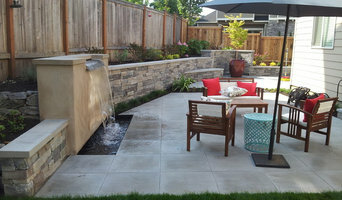 Ross NW Watergardens is the only landscape professional you will need. We specialize in custom residential landscapes with a focus on water features and hardscaping. However, our approach is flexible- we are happy to help with any landscape project you have in mind. Do you have a Midcentury Modern home? Or are you looking for a Japanese garden? Please contact us! Landscape Layouts for Living while Protecting the Planet. Specializing in rain gardens, soil life and water efficient & native plantings that are diverse and texturally interesting through the year, while providing an inviting space for entertaining your friends and family. Welcoming to people, pollinators, pets and wildlife. We offer garden coaching to master plans, from concept through completion. Do it yourself or get a referral for a licensed landscape contractor to install your garden for you. Collaborate with us to create your own garden sanctuary today! Expand your vision - Improve your view. 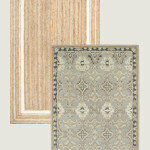 Home of Design-on-the-Fly for the Homeowner on a Budget. Donna Giguere will work together with you to meet your needs while looking at your lifestyle, the architecture of your home and your budget. Her vision is about creating a landscape that is truly your own, that functions well and fits your world whatever life phase you are in. She has 20 years experience and hundreds of happy clients. She will search for "The Right Plant for the Right Place" and suggest soil work so that your garden will be successful. She works with many different materials, stone, concrete, pavers, wood and steel. She can refer you to a handful of contractors for your landscape construction and will provide assistance during the installation. Her background is in Art- she graduated from Portland State University in metal sculpture and also studied horticulture and geology at PSU. Continuing Landscape design education was at Clackamas Community College. She loves her job! Treeline Designz is an award-winning Landscape & Garden design & Horticulture consulting company. We design and consult all levels of projects. Iftikhar is the principal of Treeline Designz and research scholar received his Master’s degree in, Landscape Architecture & specialization degree in Garden Design” from Europe & Bachelor’s degree in Parks and Garden Development. His extensive training also involved five years of research on botanical gardens & garden design in England, Scotland, mainland Europe and Australia. His current work spans seven countries, in both private and public sectors and is affiliated with botanical gardens, parks, and universities worldwide. The founder of Treeline Designz Mian Iftikhar Ahmed’s noble family the Mians, served as the custodians of the famed Shalimar Gardens (at present UNESCO world heritage site) for more than 350 years. For Treeline Designz, Shalimar stands as a symbol of inspired design, International vision, integration with the natural landscape, and sustainable and enduring construction. Today, Iftikhar’s contemporary works are driven by his knowledge of what it takes to create a truly sustainable landscape. Iftikhar brings his ancestral Mian values and knowledge of enduring, beautiful and memorable design to every project he touches. Our passion is to inspire, and to help people make their gardens and outdoor living spaces more beautiful, healthy, and functional. 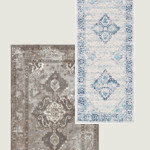 We design & build — trim & prune — dig & plant — furniture & fabrics. We believe time spent in the garden is the best daily rejuvenator for our fast-paced lives. Creating beautiful and vibrant landscapes for my clients with an emphasis on year-round attractiveness and matching the outdoor experience with the lifestyle of the homeowners. Garden Stories is a Portland area landscape design/build company creating gardens and outdoor spaces within the context of client, region, neighborhood and budget. We create designs that are unique to your site, and unique to the industry at large. We have a strong background in ecological systems and we aim to create a new standard in aesthetic and sustainable landscape design. We also just really love plants, and plant communities, and are passionate about making them the primary role in the landscape. If you are interested in creating a more ecologically beneficial landscape that is well-planned and beautiful throughout the seasons, please don't hesitate to contact us and discuss your ideas. The work of this outdoor professional includes most everything surrounding a home's exterior. A landscaping architect can even work with the home architect to choose the right spot for your Hockinson, WA house. From there the Hockinson landscaper will develop preliminary concepts for your front or backyard design based on individual needs including the climate and activities that will take place, as well as layouts and planting plans. Landscape architects will also design any structures or outbuildings that will be added to the space. Any grading changes that will be added to the yard are also the responsibility of the architect. This includes any drainage modifications. An engineer can also be responsible for these tasks, but licensed Washington landscapers are fully capable. Like building architects, they will produce preliminary concept drawings as well as detailed construction documents and planting plans. Three-dimensional renderings and illustrative plans are all supplementary. A Hockinson landscaping designer generally will have ecological, aesthetic and technical training, which helps them maximize the potential of your outdoor space. Keeping in mind both style and functionality, garden designers analyze your architecture and yard to produce a plan that may or may not include location and materials for walkways, patios, water features, fences, garden aspects and more. In addition, a landscaper in Hockinson, WA will carefully assess your geographic region to choose plants, trees and flowers that will flourish naturally, as well as address concerns such as drainage, screening and soil conditions. Certain landscape designers only help with the planning portion, while some may deliver the plans and then oversee a hired landscaping contractor. Others — typically following a design-build approach — take care of both the design and all aspects of the landscape architecture and construction. Find a Hockinson landscape architect on Houzz. 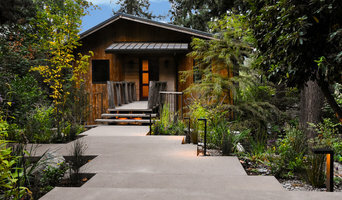 Narrow your search in the Professionals section of the website to Hockinson, WA landscape architects and designers. You can also look through Hockinson, WA photos to find a space you like, then contact the professional who posted the photo.